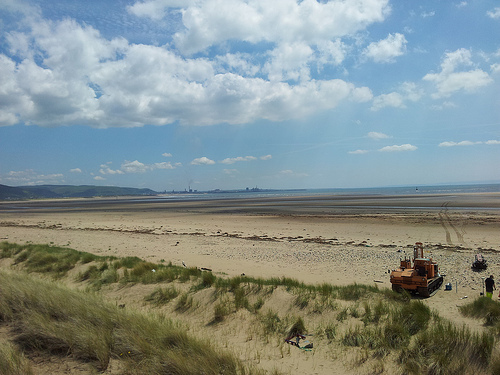 In Situ have been involved in an exciting renewable energy project at Swansea Bay (www.tidallagoonswanseabay.com). The Swansea Bay Tidal Lagoon project is aiming to be the world’s first man-made, energy-generating lagoon, with 250MW of installed tidal power capacity (https://www.youtube.com/watch?v=O_kAO6E2-08). The project involved carrying out combined CPT and Magnetometer tests at locations in the intertidal zone where the proposed lagoon is to be built. 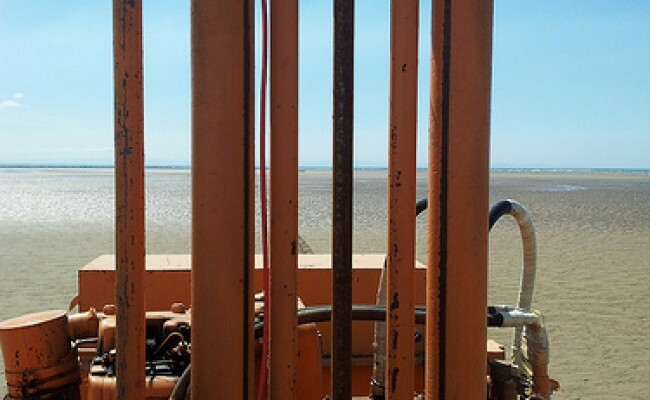 Working in the intertidal zone, we followed the tide out at low tide and carried out test down to a depth of 10m. The work was completed successfully and timed to miss the returning tide. As an added bonus, the weather was lovely and the pleasure of being on the beach topped of a successful project.